Together with many other international Western Sahara solidarity groups, we wrote to the UN Security Council ahead of the next vote on MINURSO later this month. As representatives of human rights organisations, civil society, and solidarity groups from around the world, we are writing to you to place on record our strong belief that the status quo in Western Sahara is unacceptable. We urge the Security Council to live up to its mandate by strongly encouraging both parties to the conflict to accept Personal Envoy of the Secretary-General for Western Sahara Horst Köhler’s invitations for face-to-face negotiations which will move forward the UN political process toward an acceptable solution that would allow for the Saharawi people to exercise their right to self-determination. As the UN fails to uphold its stated commitment to hold a self-determination referendum under measures put in place 27 years ago following the agreement between the Frente POLISARIO and Morocco, and as evidenced by the existence of MINURSO and its establishment by Security Council resolution 690, the Saharawi people continue to wait for a long-awaited diplomatic solution. The basic principles at stake are simple and fundamental. The right to self-determination is enshrined in the UN Charter and is the foundation on which MINURSO’s mission was built. The failure of the Security Council to move the political process forward and pressure Morocco to act in good faith has enabled a political impasse in Western Sahara that tarnishes the reputation and credibility of the United Nations and its peacekeeping missions. For over forty years now, the people of Western Sahara remain divided between life in unforgiving desert refugee camps or under a brutal Moroccan occupation where they are deprived of basic rights and opportunities. 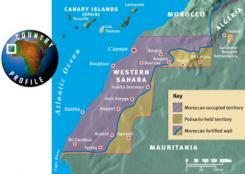 The current situation in Western Sahara is untenable. A new failure of the Security Council to move the parties closer to a political solution will severely jeopardise the peace and stability of the region. We, the undersigned, call on you to act with due urgency to support the right of the people of Western Sahara to choose their own political future. This will require political will and bravery by members of the Security Council, but it is no less than the Saharawi people have been promised and deserve. Please accept, Your Excellency, the assurances of our highest consideration.